Based on research in the Inquisitorial archives, the book recounts the story of a peasant fertility cult centred on the benandanti. These men and women regarded themselves as professional anti-witches, who (in dream-like states) apparently fought ritual battles against witches and wizards, to protect their villages and harvests. If they won, the harvest would be good, if they lost, there would be famine. The inquisitors tried to fit them into their pre-existing images of the witches' sabbat. The result of this cultural clash which lasted over a century, was the slow metamorphosis of the benandanti into their enemies - the witches. 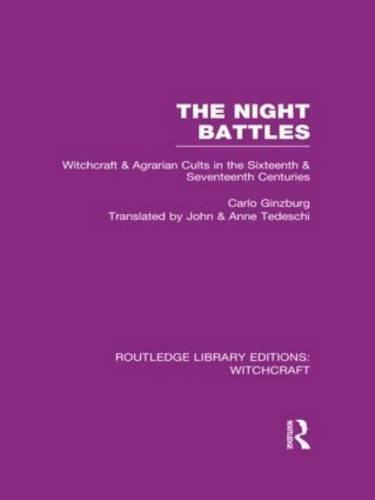 Carlo Ginzburg shows clearly how this transformation of the popular notion of witchcraft was manipulated by the Inquisitors, and disseminated all over Europe and even to the New World. The peasants' fragmented and confused testimony reaches us with great immediacy, enabling us to identify a level of popular belief which constitutes a valuable witness for the reconstruction of the peasant way of thinking of this age.